Anemia, pale complexion, dizziness, palpitations, insomnia, fatigue, weakness, irregular menstruation, chronic uterine bleeding, yin and blood deficiencies, infertility, restless fetus, habitual miscarriage, soreness and weakness of low back and knees, dizziness, vertigo, tinnitus, diminished hearing, night sweats, nocturnal emissions, dry cracked tongue, liver and kidney yin deficiency, wasting and thirsting syndrome, jing tonic, delayed development in children, premature aging, cough, wheezing and shortness of breath are some of the imbalances satisfied clients have used this product for. Blood deficiency: Shu Di Huang (Radix Rehmannia Preparata) treats blood deficiency and the consequent lack of nourishment to the Liver and Heart. Proper circulation of blood is dependent on the volume of blood being circulated. In anemic or blood-deficient individuals, there is insufficient blood to nourish the organs. Typical signs include sallow or pale complexion, dizziness, palpitations and insomnia. Shu Di Huang strongly nourishes and tonifies the blood. Menstrual disorders: Blood belongs to the yin element and is the foundation of women's health. Irregular menstruation is often caused by: blood stagnation or blood deficiency. Because the rich nature of Shu Di Huang may cause stagnation, it should only be used for individuals with irregular menstruation arising from blood deficiency and not for those with blood stagnation. Shu Di Huang treats restless fetus, habitual miscarriage and postpartum complications. Shu Di Huang is used as the main herb in formulas that treat lower abdominal pain, edema, nausea and vomiting caused by deficiency from sudden loss of blood in postpartum women. Clinical presentations include soreness and weakness of the lower back and knees, dizziness, vertigo, tinnitus, diminished hearing, tidal fever, night sweats, nocturnal emissions, a thready, rapid pulse and a dry, cracked tongue with scanty or no coating. Shu Di Huang nourishes the yin and blood of the Liver and Kidney. It is often combined with yang tonic herbs to fortify Kidney yang as well. Shu Di Huang strongly tonifies yin for treatment of xiao ke and is especially effective for polyuria. Jing and blood are derived from the same source. Shu Di Huang tonifies blood and nourishes jing. Deficiencies of jing and blood cause both physical and mental developmental delays in children. The manifestations of these deficiencies in adults include prematurely gray hair, forgetfulness, dizziness, blurry vision, impotence, tinnitus and other signs of early aging. This type of deficient cough, wheezing and asthma is associated with Kidney deficiency with inability to grasp the qi downwards. The prolonged, labored inhalation process results in accelerated respiration and shortness of breath. 2 to 6 grams per day or as directed by your wellness coach. 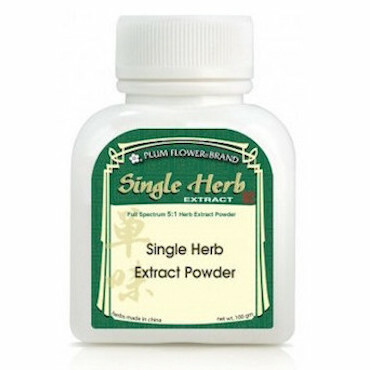 Shu Di Huang is also used in pill, powder and paste forms. Shu Di Huang is used to stop bleeding. Use Shu Di Huang with caution in individuals with Spleen and Stomach deficiencies. Because the stagnating and cloying nature of Shu Di Huang may impair digestion, it is contraindicated in excess imbalances with dampness, phlegm or qi stagnation.